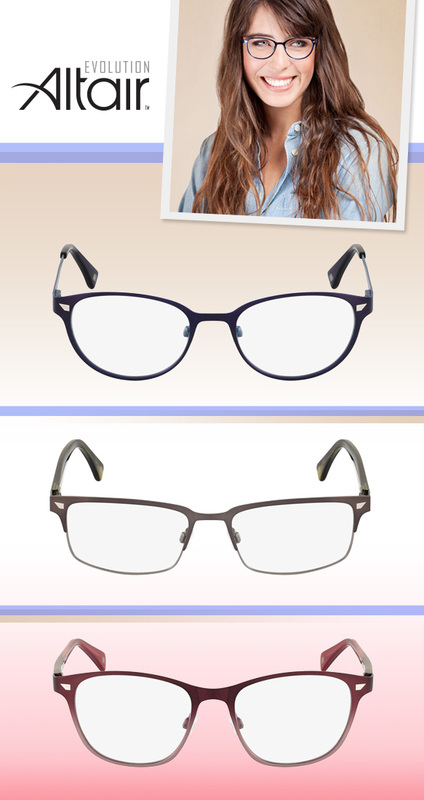 Molded metal takes on new shape in Altair Eyewear’s Evolution collection of specs! Trend-setting flat metal frame fronts are accented with the brand’s signature custom rivets with retro influence. To boot, pearlized, matte and bold ombré finishes bring further flair to these architecturally sleek silhouettes, ranging from retro-inspired rectangles and wayfarers to soft ovals. A palette of deep navy, muted brown and rich burgundy puts the finishing touch on these glasses. Get even more deets here.